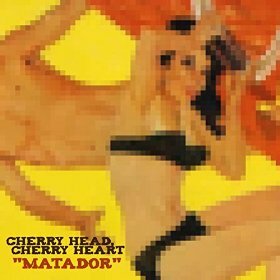 Alt-pop Teesside duo Cherry Head, Cherry Heart have set a date for the release of new single Matador. The track will be available for fans to buy both online and instore from August 18th. Naomi Lowe and Andy Johnson have already had the single played by Bob Fischer on BBC Tees with the track going down a treat. The acoustic double act published an unfinished version of the new single on the pair’s Soundcloud earlier this month. As expected, the Spanish themed track features a heavy Spanish sound that is amplified by the brilliant guitar-work from Andy Johnson. Cherry Head, Cherry Heart also debuted the first World War tribute track The Deserted last month. You can pre-order Matador from Amazon from today. Tags: Acoustic, Alternative Pop, Cherry Head Cherry Heart, First World War, Matador, Middlesbrough Music, North East, Spanish music, Teesside, World War tribute. Bookmark the permalink.